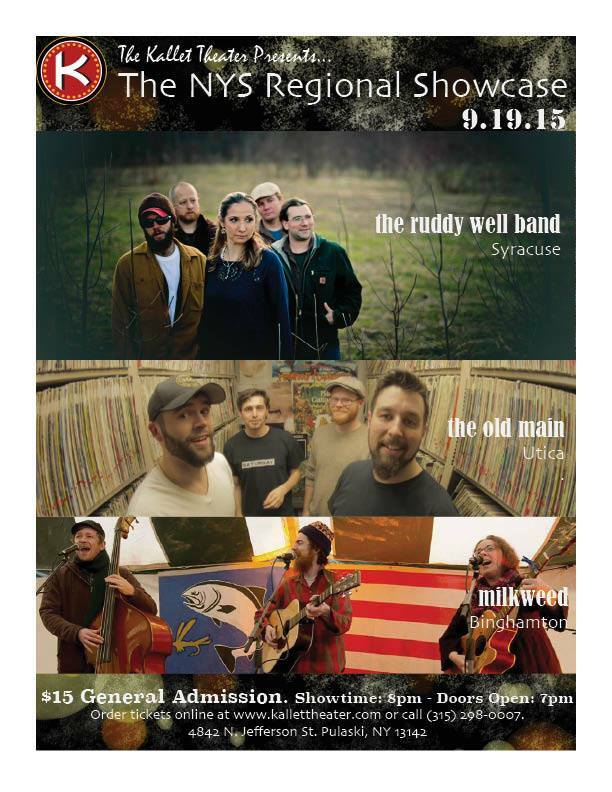 Come check out the Regional Showcase at the Kallet Theater on Saturday, September 19. 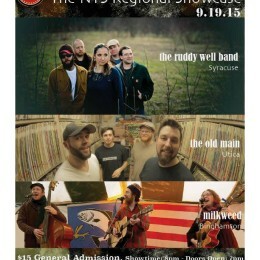 Featured will be Milkweed from Binghamton, The Old Main from Utica, and the Ruddy Well Band based out of Syracuse. Doors open at 7pm – show starts at 8pm. $15 General Admission.